The Kogan Unique Cultural Projects Support Fund works to acquire and restore rare musical instruments from around the world for use by Russian musicians. The Fund donated to the Ural Philharmonic Orchestra string instruments made by several famous Italian and French master luthiers of the 17th through 20th centuries: Francesco Ruggieri, Romeo Antoniazzi, Pietro Guarneri and Jean-Baptiste Vuillaume. 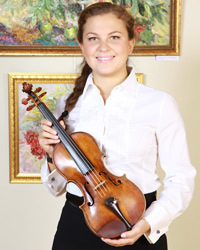 In 2011, the Fund presented the legendary “Robrecht” violin of the 18th century Italian master luthier Giuseppe Guarneri to the one of the organization’s founders, Russian violinist Dmitri Kogan.